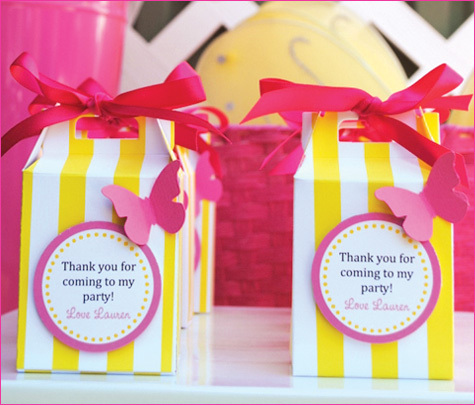 Bright pink and bold yellow seems to be a popular color combination when it comes to planning a party with a butterfly theme. 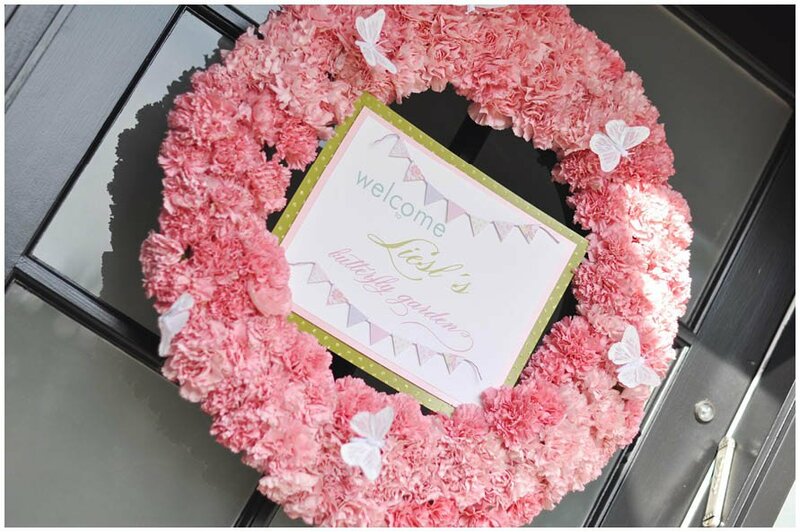 A gorgeous party theme by Rebekah from A Blissful Nest incorporates that palette for her daughter's 2nd birthday party. 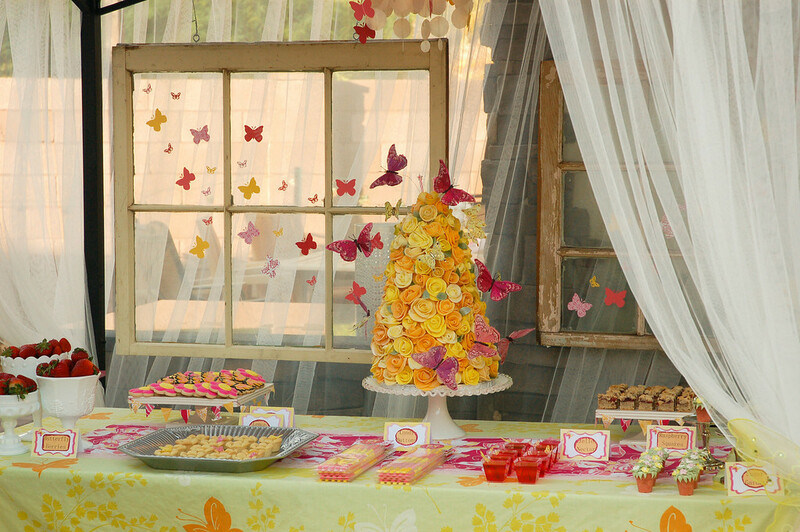 Nicole from Tradewind Tiaras was inspired by the trips to butterfly pavilions -- glass conservatories filled with flower gardens and butterflies. 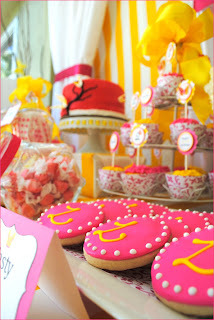 Not only did she design the event but she also made the cake. 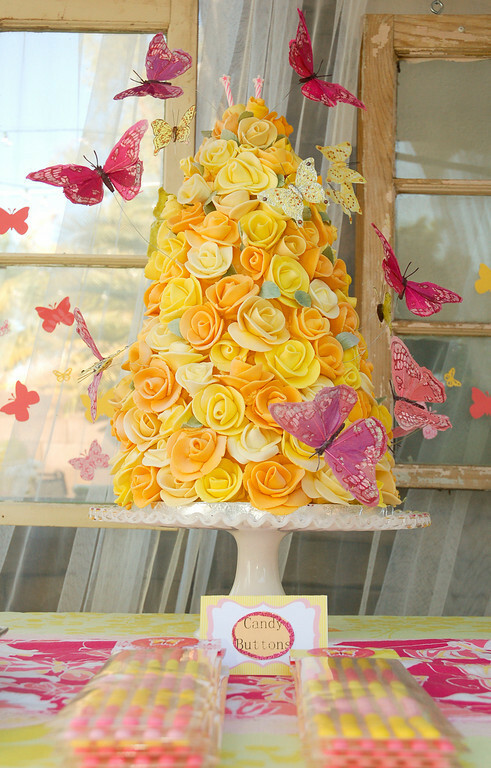 All 200+ fondant roses by herself. What a talented mom! 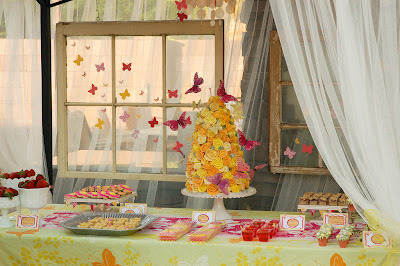 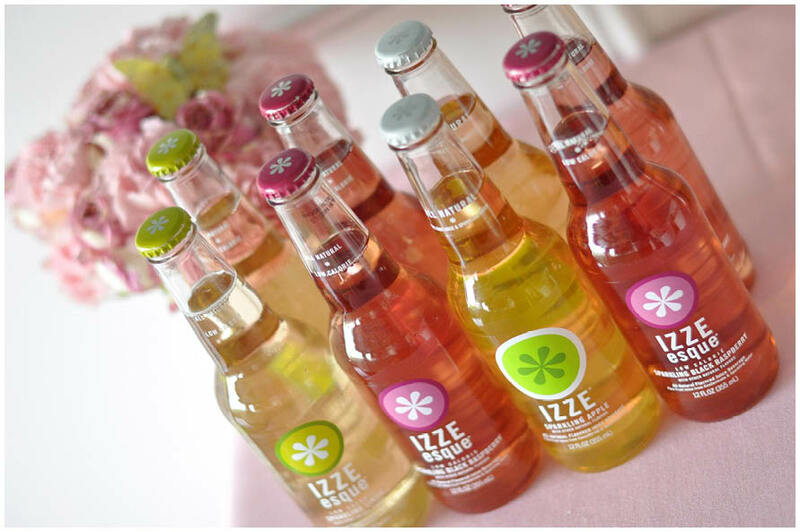 One of my favorite butterfly parties is this one by Emily K Paperie featured in a recent Pizzazerie post. 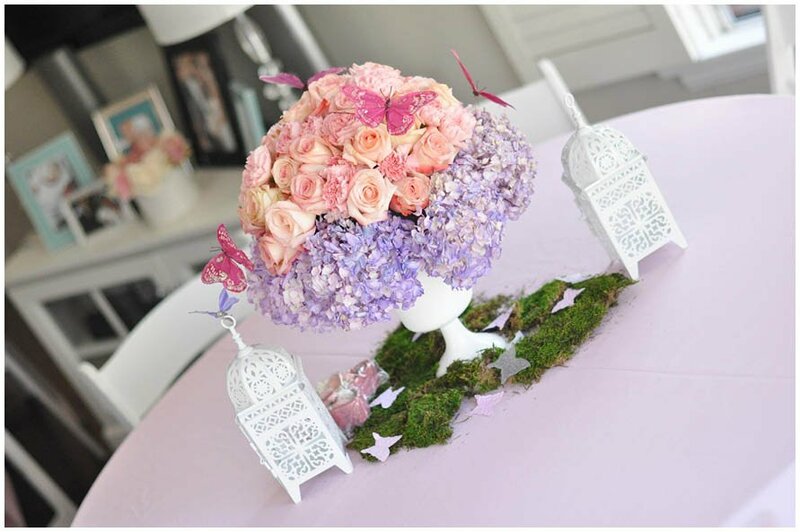 I love the hydrangeas, roses and soft muted colors. 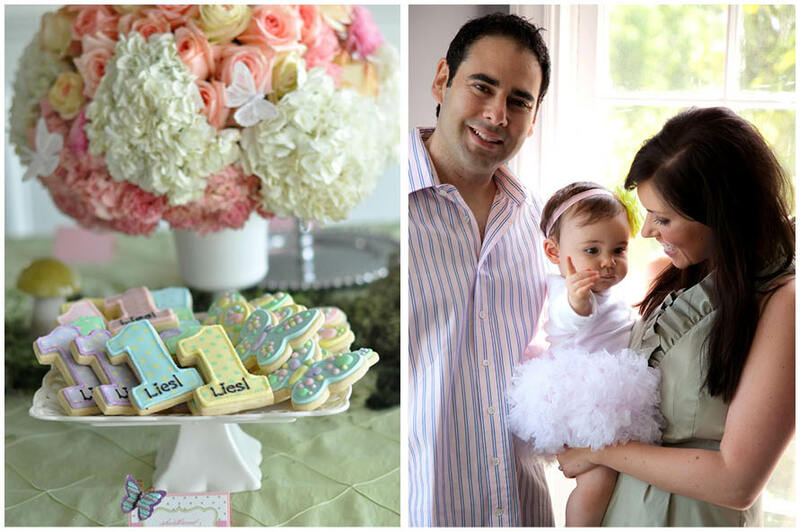 Emily is another talented mom as she not only designed the event but did the floral centerpieces herself. 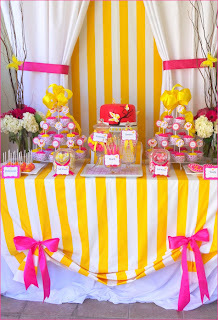 If I ever have a daughter I am going to do this theme for her first birthday party!